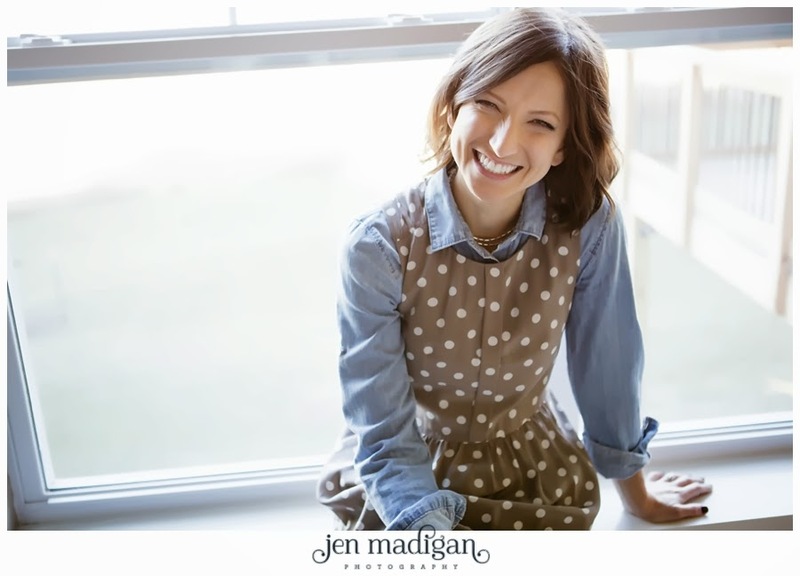 Jen Madigan Photography - Mentor, Ohio Lifestyle Photographer: Meet Coelle! I had been looking at hiring an assistant once I went full time in September, but wasn't quite sure how to find the perfect person. Like all good things, everything seemed to fall into place when I told Coelle I was looking for someone and she was also looking to add a more creative, flexible job into her life as she cut back hours at her other job to spend more time with her son. Coelle, in my opinion, is the perfect fit for Jen Madigan Photography and I know you all are going to adore her as much as I do! She has fabulous taste, is incredibly stylish (obviously), hilarious, and so much fun to be around. She is an amazing addition to my team, and I can't wait for you all to meet her! "When Jen and I first discussed the idea of me working as her assistant and stylist for her clients, I thought she was joking; it was too good to be true! I had been thinking about what I could do to incorporate more creativity and my love for design into my life. My hobbies have always included the arts, and I have been a go-to source for design advice with family and friends for as long as I can remember. I met Jen when my husband and I contacted her to photograph my newborn son last year. Our session was a ton of fun and I was blown away by Jen’s work! She captured the love and excitement we felt in such a beautiful and soft way. 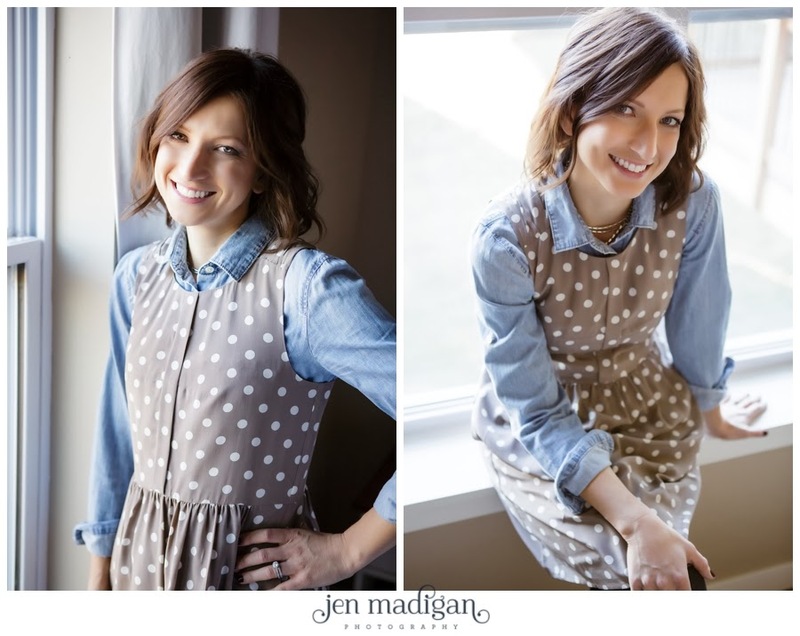 I am thrilled and honored to be a part of Jen Madigan Photography! I am excited to learn all about the process and details that go into delivering wonderful images, as well as meeting all of Jen’s fantastic clients! I live in Iowa City with my husband, Christopher, and my one year old son, Julian. I grew up in New Glarus, Wisconsin (yes, home of the New Glarus Brewery for all you Spotted Cow fans). I moved to Iowa City to get my Master’s in nursing, which I now use to work at the University of Iowa Hospitals and Clinics in the general pediatric clinic. I love hiking, running, yoga, and traveling (although my son has put a new spin on flights, eek!) I can’t go too long without shopping, Pinterest, or attempting a new crafting project. If I find extra time you might find me reading, searching iTunes for new music, or baking. A few of my favorite things: leggings, polka dots, office supplies (a new pack of pens or sharpies! ), children’s books, live music, and organizing!"